In 2006, Preservation Resource, Inc. refocused its operations to include a custom line of accessory buildings designed to complement historic homes called Historic Shed. This line has grown to include residential infill housing in addition to garden sheds, garages and accessory dwelling units. Focusing on traditional design and materials, the units seamlessly blend into historic neighborhoods. 1212 Ponce de Leon Blvd. Preservation Resource, Inc. was incorporated in Florida in 2000, merging a historic preservation design and consulting firm with a construction company specializing in historic building renovations. 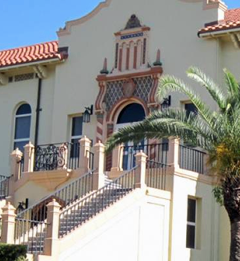 The result is a full-service historic preservation consulting company with unmatched expertise in the research and sympathetic planning for the rehabilitation, restoration and related new construction for historic Florida buildings. The company prides itself on its comprehensive knowledge of typical construction types, styles and materials common to Florida, as well as accepted preservation theory and practice. The company has been fortunate to participate in a variety of project types from initial planning through construction. Clients have included the Florida Department of Transportation, South Florida Water Management District, Federal Highway Administration, Dept. of Veterans Affairs, various municipalities, engineering firms, cultural management companies and numerous private clients.